When an infection in your tooth causes severe pain, a root canal may be the best way to alleviate your symptoms. At Richard Hardt, D.D.S. in Porterville, California, Dr. Richard Hardt, DDS, and Dr. Lawryn Monterroso, DDS, offer root canal procedures to help you resolve your infection and while keeping your natural tooth. Don’t delay treatment for an infected tooth. Call Richard Hardt, D.D.S. or use online booking to schedule an appointment today. A root canal is a common endodontic treatment that allows you to keep your decayed or diseased tooth, preventing the need to extract it. Inside each of your teeth is a hard layer of dentin that covers the pulp, a soft tissue that contains nerves, blood vessels, and connective tissue. The pulp connects from the crown of your tooth to the top of the roots and is responsible for the growth of your teeth. A full mature tooth can live without the pulp. When you have significant tooth disease or decay, removing this pulp with a procedure known as a root canal may help you keep your natural tooth. When the pulp inside your tooth becomes infected or inflamed due to tooth damage or decay, you may experience severe pain. If left untreated, a diseased tooth might result in an abscess, a serious infection that can have life-threatening consequences. Dr. Hardt and Dr. Monterroso may recommend a root canal if you have inflammation or infection that causes pain in your tooth as an alternative to having the tooth pulled. If you have a tooth abscess, you may need to take a course of antibiotics before Dr. Hardt or Dr. Monterroso can perform the root canal procedure. They may administer a sedative or general anesthesia to keep you comfortable. During a root canal, Dr. Hardt or Dr. Monterroso makes a hole in the affected tooth and carefully removes the pulp. They thoroughly clean the interior of your tooth to remove debris and infection before filling the space with a dental-safe sealant. In a follow-up appointment, you receive a crown that Dr. Hardt or Dr. Monterroso place over your tooth to protect it from further damage and ensure it functions normally. Once the root canal is complete, your tooth may be very sensitive for a few days, especially when eating or drinking hot or cold items. You can use over-the-counter medications to prevent discomfort in the days following your procedure. Your tooth may feel different from your other teeth until Dr. Hardt or Dr. Monterroso places the crown or perform the final restoration process. 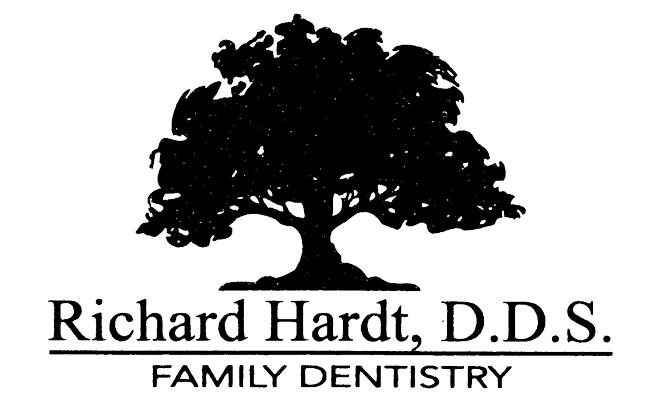 To learn more about the benefits of a root canal, schedule a consultation online or by calling Richard Hardt, D.D.S. in Porterville, California, today.